In my family, most of us tend to get obsessed about things. We will dive in to a new hobby or school year with 110% enthusiasm. Unfortunately, we also tend to have short attention spans and lose interest part way through. We give up or leave projects half finished. I, myself, have a hard time finishing books I have started reading. Knowing this is part of the battle. Right now I am 110% ready and willing to finish this preparation, but I know is a week or two, that enthusiasm will wane and I will want to put the book and prayers to the side. St. Louis de Montfort was a priest for 16 years before he died at the young age of 43. What have I done for 16 years? Not much because of my age. I have known my husband for 16 years, but we have only been married for 12 and honestly, we have been blessed in our marriage. We haven't hit any hard battles and it has been easy to stay together. Our love has blessed us with four (almost five!) beautiful children. I do hope we are a decent example of a Catholic marriage and family. When I think back at what I have accomplished in my life, I wonder, what has been the hardest walk? At first I thought it was the four years of college. Those years were brutal. Lacking sleep and never-ending studying strained everything in me. But then I thought about where I am now. Homeschooling my own children is not a walk in the park. I have given up almost all of my me-time in order to help my own children. The house is a mess often and we have to sacrifice much since I am not in the work force. There are times I wonder if I can even do this. Homeschooling is a million times harder than my four years at college, and I have been doing it for about eight years now. I guess I should pat myself on the back because my enthusiasm has definitely waned, but God made me stubborn and I know he wants me to continue to homeschool my children. M biggest obstacle is in my own head. I know I am not in the spiritual place I should (and want) to be. However, I am trying to tell myself this consecration will help me get there. I am a little embarrased to ask Mary for help because I am a lowly sinner, but don't we have to start somewhere? 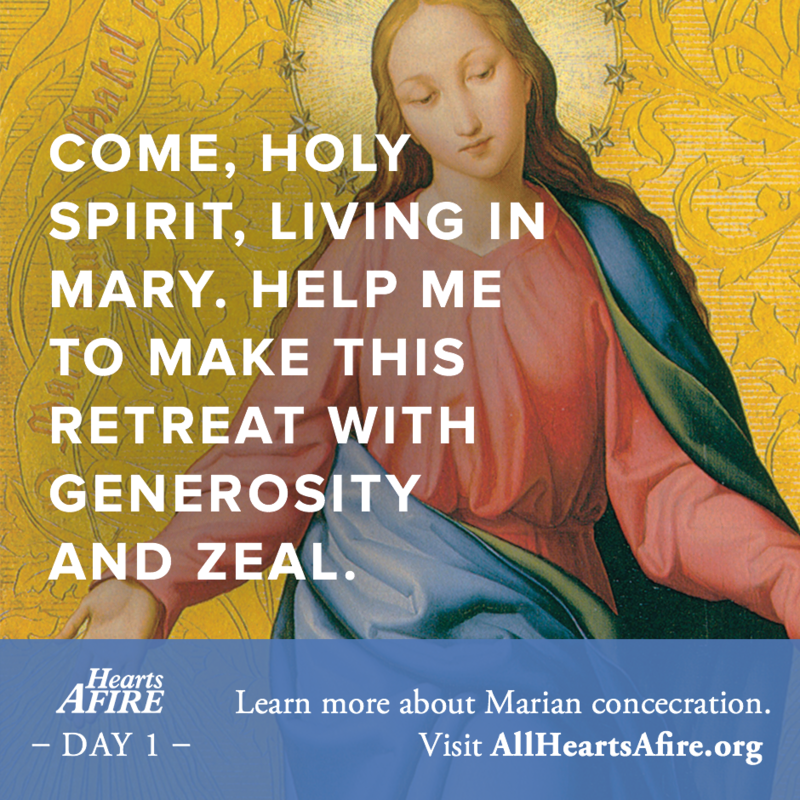 Mary, please start the divine fire in my heart for your son, Jesus.